We are based in Wolverhampton and are affiliated to GNAS (Grand National Archery Society). Our service is open to both both adults and juniors. 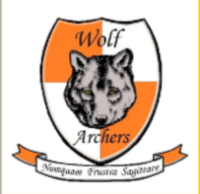 Wolf Archers is a member of Archery GB’s club development programme, Ontarget. Clubs joining Ontarget make a public pledge to be open and friendly, to advance archery and to proactively work with Archery GB. In return Ontarget clubs will be recognised, rewarded and given support, guidance and advice to develop and improve. We are very pleased to be part of the Ontarget family. The purpose of the club is promote archery and make it more accessible in the area. We are a friendly club and run regular “Have a go sessions” the last week of every month. So whether you’re a seasoned archer looking for a place to practice, or want to try archery out for the first time. Why not come along. Your first session is FREE! TASTER SESSIONS MUST BE BOOKED IN ADVANCE.